The 57 km long Gotthard Base Tunnel, a 9 billion Euro project, is the world’s longest railway tunnel. The main Breakthrough took place on the 15th October 2010. 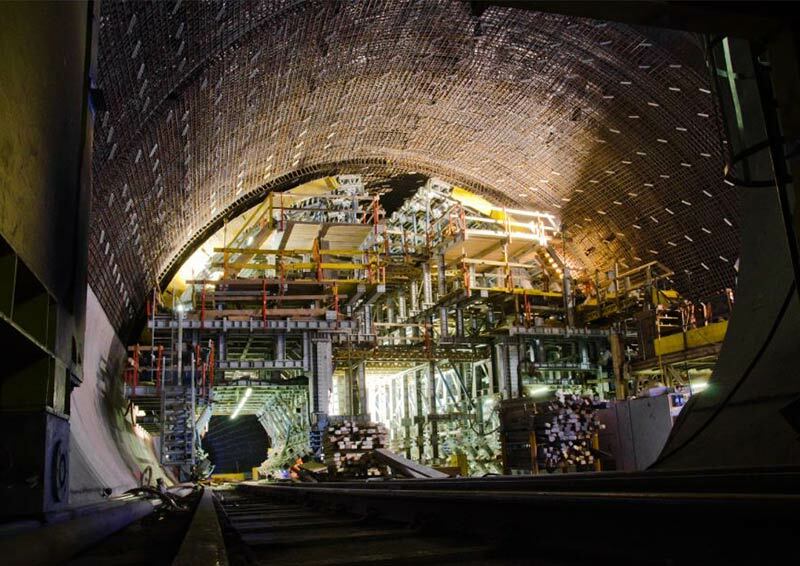 All 151.8 km of the overall system are complete and the tunnel has been in operation since 2016. This lecture will provide some feedback from the construction difficulties and lessons learnt from the two 30 km long southern TBM drives from Bodio to Faido under overburden reaching a maximum of 2,400 meters. The project overcame a major fault zone, squeezing ground conditions and rock bursts. The TBM was blocked by a collapse, and had to cross water-carrying faults with rock and water temperatures reaching 48°C. The project also needed to cross weak and potentially risky zones like the Piora Basin. A section of the tunnel was enlarged after squeezing rock nearly blocked the TBM drive. Expected water pressure exceeding 160 bars required suitable pre-investigation equipment. A waterproofing system with sheet membrane was installed along the whole tunnel length and extensive testing was carried out. The presentation will give a general overview and go deeper in selected topics.